OK so I may be telling little porkie pie with the title as you won’t get amazing skin quite overnight however if you keep up with this little guy then you will definitely improve it and your overall well being. I’ve recently had quite a lot of comments on how great my skin is looking and to be honest I’m not sure it’s all just down to that pregnancy glow in fact over the past few months I’ve been using a special little gadget that’s been working a treat for my skin and that is the AM10 Dyson Humidifier. 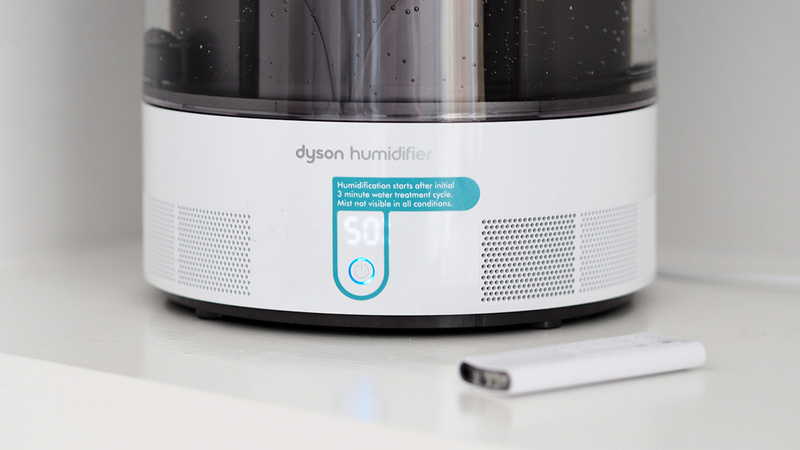 The Dyson Humidifier is the worlds first humidifier to receive dermatological accreditation from the Skin Health Alliance so a pretty impressive product and one that I’ve really enjoyed using so let me tell you exactly what it is and what it can do for you. Let me tell you what a humidifier is because before I got this I was 100% what it was or what it did, basically a humidifier puts back moisture into the air for a more comfortable environment. During the winter months when we have the heating on it tends to make the air dry which usually effects our skin and can cause respiratory discomfort. Even in the summer when you are using air conditioning this also does the same and makes the air pretty dry, so by using a humidifier it puts back the moisture you’ve lost and therefore helps with a whole bunch of different things. The AM10 is Dysons first step into the beauty world and is set to reduce skin fatigue, dry skin and fine wrinkles as well as looking after the lining in your nasal passages to increase defences against cold and flu which is of course perfect for the winter months. It’s basically a little dream worker and will work while you sleep, I’ve kept mine in our bedroom as that’s where we need it, it also has a great 18 hour built-in sleep timer so you don’t have to worry about forgetting to switch it off. You can keep it in any room you wish and it also has a dual function so you can use it to cool the room in the summer and to even humidification during the winter so although it’s probably one of the pricier humidifiers I’ve come across it definitely has it’s benefits. 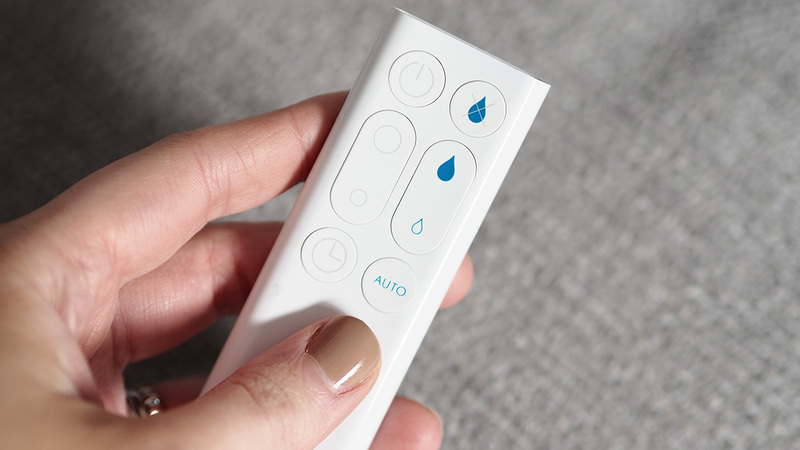 The appearance of the humidifier is absolutely gorgeous and certainly stands out for me, it’s very modern and you also get a swish little remote that can control with 10 precise airflow settings it’s very handy and ideal so you don’t have to get up out of bed if you don’t want to you can simply control from wherever you are. You may be able to see there is a water tank which you need to fill, the humidifier actually takes about 3 minutes to sanitise that water with the help of the UV light that kills 99.9% of bacteria which is pretty impressive right? No need to worry about inhaling any bacteria like with some humidifiers, this is pure clean air! Does it actually work? Well I have to say I’m super impressed with the Dyson Humidifier, it’s perfect for babies, beauty and helps with respiratory problems even Mark has felt the benefits he usually gets quite congested and he hasn’t had that at all this winter, it really does create a healthier environment for you and your family. I have found that my skin looks and feels a lot better, it’s less dry and the dreaded cracked lips that I get every winter hasn’t happened this year and I swear it’s down to this. If you are an allergy sufferer or just want to have healthier looking skin then I’d highly recommend the AM10 Dyson Humidifier it’s a great piece of equipment that not only looks impressive but really delivers in what it promises. Do you use a humidifier, what do you think of this beauty?